Are You Familiar With Madison, Wisconsin Ordinance 23.20? Under this ordinance, citizens are protected when possessing up to a certain amount of cannabis at any given time within the county limits. Milton has one for up to 28 grams of medical marijuana for personal use. Madison allows up to 112 grams. 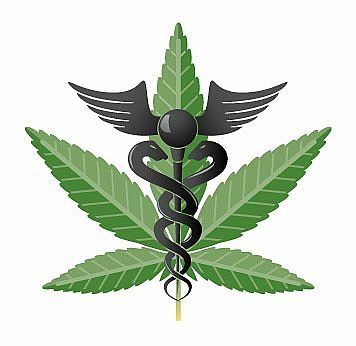 Does your city have a medical marijuana ordinance? If you don’t know, you can check by contacting your local city clerk and asking if there is one. Otherwise, you can ask them how to get that done in your area. Anyone can do it! (1) Purpose. The people of Madison specifically determine that the regulations herein contained concerning marijuana and cannabis are necessary to serve the ethical purpose of providing just and equitable legal treatment of the citizens of this community and to preserve the respect of such citizens for law, its process, and its administration. Cannabis. The resin extracted from any part of the plant Cannabis Sativa L., or any other nonfibrous extract from any part of the plant containing delta-9-tetrahydrocannabinol. Casually possess. The possession of not more than twenty-eight (28) grams of cannabis, or one hundred and twelve (112) grams of marijuana. Marijuana. All parts of the plant Cannabis Sativa L., whether growing or not; the seeds thereof; and every compound, manufacture, salt, derivative, mixture, or preparation of the plant or its seeds. It does not include cannabis or any other compound, manufacture, salt, derivative, mixture, or preparation of the mature stalks, fiber, oil, or cake, or the sterilized seed of the plant which is incapable of germination. (1) A physician, dentist, veterinarian, podiatrist, scientific investigator, or other person licensed, registered, or otherwise permitted to distribute, dispense, conduct research with respect to or administer a controlled substance in the course of professional practice or research in this state. (2) A pharmacy, hospital, or other institution licensed, registered, or otherwise permitted to distribute, dispense, conduct research with respect to, or administer a controlled substance in the course of professional practice or research in this state. Public place. A place which is in public ownership or a place to which the public has access; distinguished from a private place. (3) A person may casually possess marijuana or cannabis in a private place. Such casual possession is not a crime and is not subject to forfeiture. (4) No person shall casually possess marijuana or cannabis in a public place unless such marijuana or cannabis was obtained directly from or pursuant to a valid prescription or order of a practitioner while acting in the course of her, his, or its professional practice. (5) A violation of Subsection (4) of this ordinance shall be subject to a forfeiture of up to one hundred dollars ($100). (Am. by Ord. 9244, 8-14-87). (6) A violation of this ordinance is not a crime and shall not subject a person found in violation thereof to loss of civil rights or to other disabilities imposed upon a person convicted of a crime. No entry or other record may be made which indicates that a person alleged or found to have violated this ordinance has been arrested for, charged with, prosecuted for, or convicted of a crime. (7) Separability Clause. If any subsection, sentence, clause, phrase, or portion of this ordinance is for any reason held invalid or unconstitutional by any court of competent jurisdiction, such portion shall be deemed a separate, distinct, and independent provision, and such holding shall not affect the validity of the remaining portions hereof. 9 Responses to Are You Familiar With Madison, Wisconsin Ordinance 23.20? We had a great 30th birthday party for Madison General Ordinance 23.20 at Escape Coffee in April 2007. I did a power point presentation on my research on how 23.20 came to be. Do you plan to do your power point presentation on Madison General Ordinance 23.20 anytime in the future? I’d love to learn more about it. I feel it is great that such an ordinance is in place. However aren’t City Police still able enforce State laws if they still choose to do so? While Ordinance 23.20 is a small step it doesn’t seem it offers any protection against a zealous District Attorney or the Police. So when is the next celebration for such a great ordinance? How do I get this to pass in Milwaukee County?!? And major depression and the only thing thats ever helped significantly is cannabis. Am sending out a huge SOS!!! I suffer w/ 6+ diagnoses. I’ll move so I don’t have to be labelled as a prescription drug addict-who prefers medical Mauijuana-which I’m a local criminal by others standards-not of my definition…I better not say… DANGER for me-Yikes!!! I’ve spent tons of hours searching on-line for help to become a legal user. I’ve had M.S. for longer than fifteen years. I served honorably in the U.S.A.R., I am an Eagle Scout, have held my national E.M.T. and an Iowa E.M.T. as well. What can I do to get medical cannabis approved in Readstown and or Vernon County. I am being seen at the Veterans Memorial Hospital in Madison because I developed M.S. while serving as a Combat Medic.